San Francisco-based private financial group provides financial advisory services to multi-billion-dollar alternative asset management firm based in New York. "US Capital Global was able to introduce the company to a syndication of capital sources, each providing delayed-draw term loan facilities of $100 million and upwards, and to advise the company on the financial impacts of each structure." — Jeffrey Sweeney, Chairman and CEO at US Capital Global. SAN FRANCISCO, MARCH 2019 – US Capital Global has structured and put in place a $100 million line of credit for a New York-based alternative asset management firm. The firm, which specializes in transportation, healthcare, municipality services, and debt strategies, has several billion USD in assets under management. Headquartered in San Francisco, US Capital Global is a full-service private financial group with a strong focus on asset-based lending, investment management, and investment advisory. The firm provides sophisticated debt, equity, and investment products to lower middle market companies and investors, using the latest FinTech and RegTech innovation. 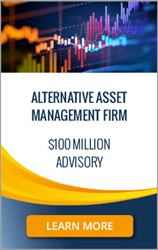 Established over thirty years ago, this alternative asset management firm provides its portfolio companies with the strategic planning, insight, and capital necessary to reach new levels of growth and profitability.